Get signed up to be among the first to receive recipes, workouts and science-backed advice straight to your inbox! It definitely wasn’t fast. It definitely wasn’t easy. It definitely wasn’t pleasant. But at 7:36pm on Friday 22 January I dragged a 1.4 tonne car 26.2 miles around Silverstone race track (England) and over the finish line, all to raise money for 4 charities very close to my heart. Sore yet successful, I hugged my family. Returned home. Ate lots. But slept more. Then 14 hours later awoke and decided to write this article to detail exactly how all of this was only made possible because of Wim Hof, his amazing team and his pioneering methods. First things first, recovery strategies are grossly overlooked in the world of sport and fitness. Time and again the athlete who takes home the silverware at competitions isn’t the one who trained the hardest. They’re the one who trained the smartest. They’re the one who’ve mastered the Law of Adaptation. A universal law that governs any and every training program ever created. See, power lifting, bodybuilding, marathon running, Olympic lifting and yoga are all designed to adapt and improve something. This is because exercise by its very nature is an adaptive process. It’s the whole reason we do it. If you don’t intend on adapting in some way it’s probably not exercise. Which is why a thorough understanding of the Law of Adaptation is an absolute necessity. Too often people attack the weights rack or treadmill with no real comprehension as to why they’re doing it. It’s like attending an art class with no paint or brush, but expecting to reproduce the Sistine Chapel. You become ill, tired, over train and never quite hit your “peak”. So where did the Law of Adaptation come from? Well, worth noting is it has always and will always be present. As long as we are alive, we will be adapting. But our understanding of this didn’t fully develop until 1915 thanks to an American Physiologist by the name of Walter Cannon and French scientist called Charles Richet. This is the ability of the body to seek and maintain a stable internal state. Now this can get complicated, but like most things there’s no need for it to be. So you know when your body temperature is good? Your immune system is ok? And millions of other internal mechanisms are running like clockwork to keep you healthy? All without you consciously having to lift a finger. Well this is homeostasis at work. It’s that easy. So what does this have to do with your gym routine? Well, this means you simply can’t adapt to become fitter, stronger, quicker or leaner without experiencing some form of “stress” or “stimuli.” Your arms can’t magically grow without lifting weight and your lungs won’t be gifted with endurance without running or cycling up a mountain to tax the body’s cardio respiratory system. It sounds so simple, but it’s amazing how too many people still fail to grasp this. To improve you must “expose” your body to a “stimulus to the quality or intensity of which it is not adapted.” You’re going to have to sweat. You’re going to have to work. And at times you might not like disrupting your comfy state of homeostasis. On the flipside there are those who run, jump and lift as much as possible. As often as possible. Every single day. But this too ― according to the work of Hans Selye ― is destined to fail. Why? See, whether you compete or not you will have no doubt experienced what sports scientists call an ‘immune crash’ during periods of intense, heavy or high volume training. This is when you’ve become ill after loading your body above its habitual level in an attempt to get leaner, stronger and bigger (or in my case pull a 1.4 tonne car 26.2 miles). So how is it possible to avoid overtraining whilst still continuing to push the boundaries in your chosen sport? Firstly (and generally speaking) it’s accepted both through anecdotal and epidemiological evidence (the branch of medicine that studies cause of disease) that moderate regular training can reduce the risk of infections by having a positive effect on the immune system and you can therefore avoid this ‘crash’ in immune health. 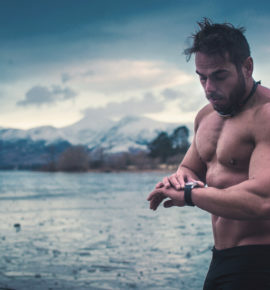 Obviously the main issue is you won’t be breaking training plateaus or smashing PB’s by training at a slow and steady pace on a regular basis. So here we take a look at just what exactly goes on inside the body during periods of intense strength training addressing everything from the impairment of natural killer cell activity to lymphocyte. Firstly a study conducted in Australia at the Department of Human Movement Studies at the University of Queensland set out to determine the effects of exercise intensity on immune parameters in order to better understand mechanisms by which training may influence resistance to infection (L.T. Mackinnon, 1997). It was found intensive exercise altered a number of immune factors including circulating leukocytes (more commonly known as white blood cells) whose chief function is to protect the body against microorganisms causing disease. To use a team sports metaphor, this is like trying to defend with 5 less players (leukocytes) on the field than your opposition (the virus or bacteria). Whilst you’d be able to do it, you massively increase their chances of getting the ‘W’ (ultimately you becoming ill). Plasma cytokine concentrations were also detrimentally affected. Cytokines are basically any number of substances that are secreted by specific cells of the immune system which carry signals locally between cells. They are deemed critical to the development and functioning of both the innate and adaptive immune response and so altering them effectively alters the ‘communication’ of the immune system (R. Gokhale et al, 2007). Or in keeping with the team sports metaphor, it’s like trying to defend whilst being slightly blind folded and told to put ear plugs in so you can’t communicate with your teammates. Again you’d be able to do it, but just not very well and the chances of the opposition scoring (infection occurring) is dramatically increased. Scientists from the Athletic Club of Bilbao in Basque Spain (from the Research and Development department) set out to further examine various hormonal markers such as testosterone, cortisol, testosterone : cortisol ratio, 24-hour urinary cortisol : cortisone ratio, urinary and plasma catecholamines, insulin-like growth factor-1 and growth hormone (S.Padilla et al 2004) during long periods of intense training. They discovered the changes that were caused by overtraining can not only correlate with changes in an athlete’s performance capacity but can also create a hormonal environment (specifically citing elevated cortisol levels) that allow pathogens (disease producing agents) to multiply and thrive. This is because specifically both cortisol and epinephrine suppress T-cell cytokine production. To again use the team sports metaphor, this is now like your team is playing with 5 less players, all blindfolded and with ear plugs in, plus they’re now being told to play against Russia’s national team in minus 20 degrees. An environment that clearly favours them (them being cortisol and epinephrine). Ultimately all of the above means sore throats and flu-like symptoms are more common in athletes than in the general population (G.W. Heath et al, 1991) and once infected , colds may last longer therefore detrimentally affecting training and performance (B.K. Pedersen et al, 1995). More specifically and very common in athletes is something known as Upper Respiratory Tract Infection, a form of illness that’s caused by an infection of the upper respiratory tract (namely nose, pharynx, sinuses or larynx). Now to date there have been many studies into URTI however most have consisted of a self-reporting questionnaire to evaluate the effects of intense, prolonged exercise on people’s infection incidence. But this form of analysis is quite subjective and has been criticised by sports scientists and it doesn’t account for other factors such as inhalation of air pollutants, allergies and airway inflammation but to name a few. This is why researchers from the University of Queensland, Brisbane, Australia set out to objectively study the pathogenic etiology and symptomatology of URTI in highly trained elite athletes, recreationally competitive athletes and an untrained sedentary control group. The study itself was conducted over 5 months during summer and autumn competition. Nasopharyngeal and throat swabs were collected on subjects presenting two or more defined URTI symptoms. Swabs were analyzed using microscopy, culture, and polymerase chain reaction testing for bacterial, viral, chlamydial, and mycoplasmal respiratory pathogens. What they found was that a total of 37 URTI episodes in 28 subjects were reported; 9 in the sedentary control group, 7 in the recreationally competitive athletes group and 21 in the elite athletes group. However, of these 37 cases of URTI, infectious agents were identified in only 11 (30%) (2 control, 3 recreationally competitive exercisers, and 6 elite athletes). No pathogens were identified in 26 episodes of URTI. Specific symptoms, total symptoms and functional impairment severity scores were higher in subjects with an infectious URI episode. These findings strongly suggest that URTI in elite athletes are seldom infectious, and the symptomatology is distinct between infectious and noninfectious. In future research, noninfectious causes of URTI should be considered and investigated to identify alternative mechanisms and mediators. However this study does support the notion that moderate regular training can reduce the risk of infections by having a positive effect on the immune system and you can therefore avoid this ‘immune crash’, specifically URTI, whereas sedentary and especially elite individuals are more prone to this due to a suppressed immune system. Essentially supporting the often-quoted J-shaped model that shows how immune health is affected by exercise intensity (see image below). So now we’ve identified what happens inside the body when the immune system of an athlete is suppressed, what means and methods are there for preventing or combating it? Well firstly a well-designed/periodised training regime is vital in this case prevention is most definitely better than cure. 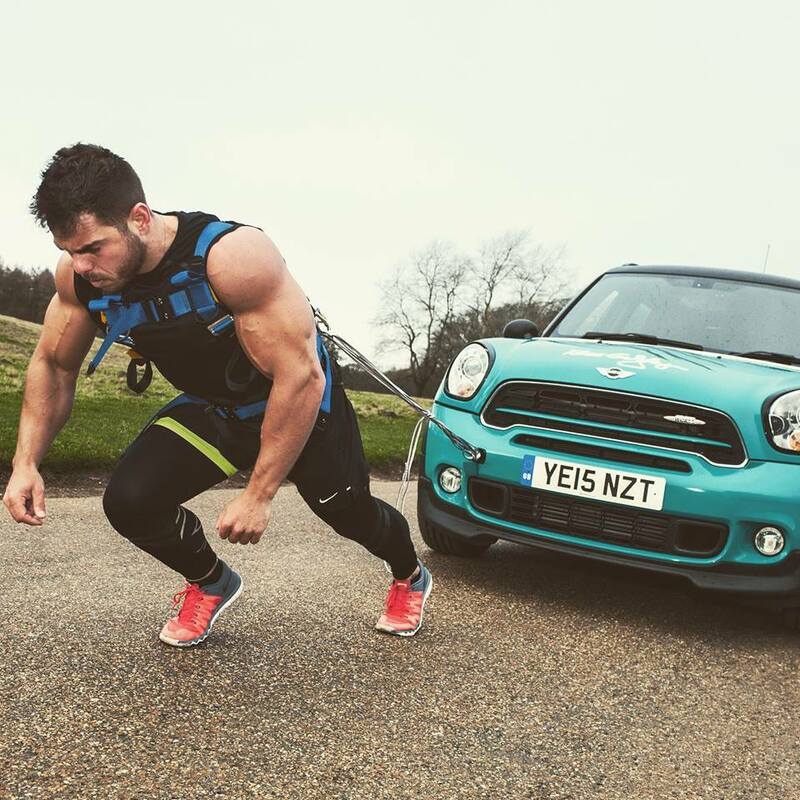 However as all serious athletes will know first-hand (and was certainly the case when pulling the car) when pushing your body to the absolute limit even the most well designed conditioning routine can fail to support the immune system enough. If you control your immune system, you dramatically improve your ability to avoid overtraining. You basically become capable of training harder, longer and more frequently. Whilst I won’t recite the methodology and techniques of Wim Hof (since no one does that better than himself) I will quote research published in the European Journal of Applied Physiology and Occupational Physiology that was the reason I first looked into the Wim Hof method to help my training. Scientists found cold weather can trigger our body’s ‘fight or flight’ response and therefore produce, “A small, but significant, increase in the proportions of lymphocytes.” Lymphocytes ― as mentioned previously ― are the body’s cells that fight off disease so having more of them as I pulled a car through the cold fields of Cheshire, England, was a welcome physiological adaption. 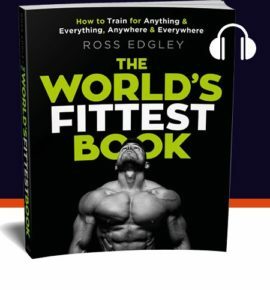 It also enabled me to complete the following workout which (without the Wim Hof method) would have ended in an overtraining, immune suppressed, fatigued disaster. Now looking ahead to 2016 I’ve more extreme charity stunts plotted throughout the year. Each getting progressively bigger and crazier. Each supported (and made possible) by the Wim Hof method.